Spring break is coming up, which means a road trip for many families. Whether you are going to be driving 5 hours or 20- here are some tips for you to save money and sanity on the road. This spring, my family and I are planning to drive 6 hours to Arizona from California. We plan our trip around the gas stations as much as possible. This means we fill up at Costco before we leave, and then we pray that we make it to the border of Arizona before we fill up again. The price difference is huge! On our way back, we top off in Arizona again to make sure we don’t have to make another gas stop in California until we get back to our hometown. This saves us probably $35-50, depending on the gas price difference. If you are traveling through many states, this could save you even more money. If you can avoid filling up your gas tank in the costlier states, then you can save quite a lot of money. A crockpot on a road trip? You hear correctly. Make one of your crockpot favorites hours before you leave. Then, wrap a towel around the crockpot and store place it in a sturdy spot in the back. When lunchtime rolls around (about 4-5 hours), your meal should still be nice and hot. Of course, this can be done for dinnertime if you are leaving in the afternoon. Use a crockpot liner, paper plates, and plastic utensils for an easy clean up. You can also cook rice, vegetables, and chicken breast in individual foil packs in the crockpot for an easy and mess-free meal idea too. If you plan on staying with family or at a hotel with kitchen amenities, you can use the crockpot throughout the trip or to make a meal for the trip back. Even if you just use the crockpot once during your trip, you can save at least $5 per person. For a big family, this adds up quickly. Don’t forget how much healthier your crockpot meal will be compared to fast food, as well a show much time you can save from stopping and ordering food on a busy day. You already have so much to pack on your road trip and now I am suggesting you bring a cooler too!? Again, a cooler is worth its space since it can help you save a lot of money. You can pack snacks and drinks that will save you from expensive gas station stops. A cooler is also helpful if you have babies, since you can store already made bottles without worry. If you plan on traveling more than 1000 miles for your road trip, renting a car could be wise. You will save money on maintenance of your own car. Also, if the car for some reason breaks down, it will be easy to get a replacement car without charge. A rental car could also be helpful for giving families a little more room for personal space and luggage storage. Many places offer family passes at an affordable rate. For example, the Association of Science and Technology Centers offers a family pass for over 300 museums nationwide. That means you could visit five or more museums and attractions on your road trip for one price. This will save a lot of money and you’re your trip more memorable. 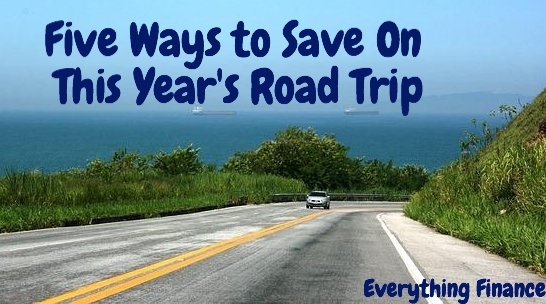 Road trips can be fun and affordable, they just take a little planning in advance. How does your family save money when you travel on the road?